What is the being of a father? To father is simply to plant the seeds of a new life. It takes nothing to father. Whereas to be a father is lifelong commitment to another life entered into voluntarily knowing that on the journey both joy and pain/sorrow will show up. That is just what is so: in real life a rose without thorns simply does not show up – I have never encountered one. To be a father is to choose to be responsible for another life. To be father is to live the art of ‘loose’ and ‘tight’ – to allow freedom within boundaries and to act when boundaries are exceeded. To be father is be opening to being moved-touched-inspired-upflited by the child and learning from the child as well as moving-touching-inspiring-uplifting the child and encouraging learning. To be father is to get that the child is not an adult in training – the child is just that a child and granting the child the freedom to be a child. To be father is not to preach (that is easy and every fool does that), it is to live/model a life that moves-touches-inspires-uplifts the child. To be father is to model both strength and vulnerability – showing that one goes with the other as do two sides of the coin. To be a father is to accept and step into the process of letting go and let the child become wo/man. To be a father is to model accepting and then handling that which shows up – wanted or unwanted in life. To be a father is to be loving. Sometimes it occurs to me that I am doing fine at being the kind of father that I am up for being. At other times it occurs to me I am/have failed so badly. Neither is true – it is simply what shows up like the wind, sometimes calm and sometimes a gust. 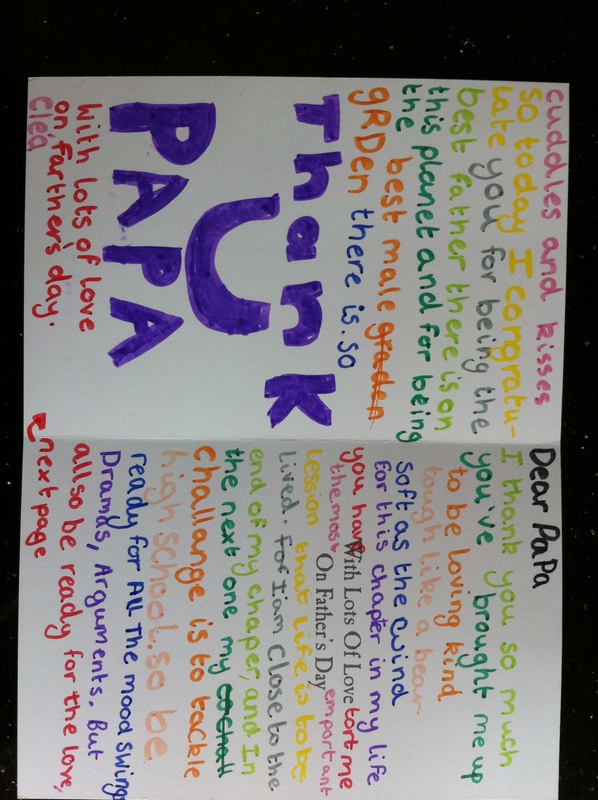 To be a father is to wonder if you are getting it right and be open to encouragement! Author Maz IqbalPosted on June 21, 2012 Categories Communication, Leadership, RelationshipsTags being a father, clea, father, fathers day, love1 Comment on What is the being of a father?